Kumram Bheem Asifabad: After a successful trial run of machine no VII at Sirpur Paper Mills (SPM) Private Limited, production was resumed after a long gap amid the loud cheers of management and employees in Kaghaznagar town on Saturday. It was revived by JK Paper Limited, following a slew of incentives announced by the TRS government in July last. The management said the trial run, which began on Thursday, was successful and two reels of paper was produced during the testing phase. The machines numbered 3, 6 and 8 would be repaired soon. In all, the SPM has eight machines. The machine will give an output of 50 tonnes of paper per day and 1.40 lakh tonnes per annum. Already, 320 tonnes of raw material was kept ready for producing the paper. The material is now being imported from the plants of JK Paper situated in Odisha, and steps are being taken to ensure sufficient availability of the material in and around Kaghaznagar town. PK Suri, president and director of SPM, Mayank Kumar Jindal, unit head, Alok Srivastava, general manager, and other members of the unit took part in the celebrations. They expressed happiness over the success of the trial run and exuded confidence that the plant would begin manufacturing from all the machines soon. Ashok Kumar, one of the employees in the electrical wing, said the credit of reviving the sick unit would go to the TRS government and sustained efforts of local MLA Koneru Konappa. The government’s move to offer incentives to JK Paper Limited realised the long-pending dream of reopening the mill, bringing cheer to workers. Konappa relentlessly pursued the need for the revival of the factory with the government, he remarked. 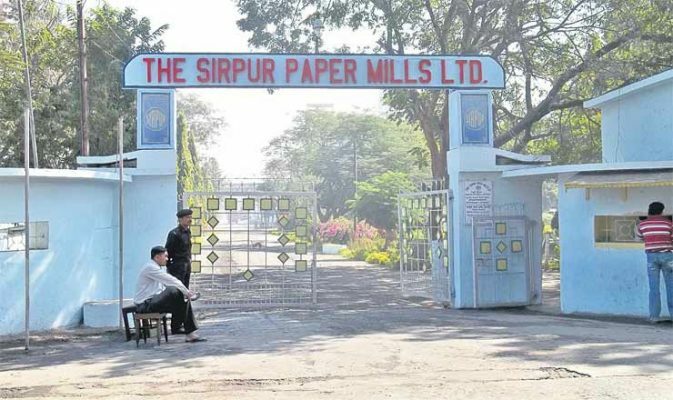 The JK Papers Limited came forward to revive the factory by investing Rs 628 crore. The National Company Law Tribunal (NCLT)-Hyderabad gave its nod to Resolution Plan of JK Papers for reviving SPM on July 19 last. The manufacturing was closed at the mill on September 27, 2014.